Betty took eight charcoal lessons at the Evanston Art Center and then proceed to use her house as an oil painting studio. The places in Betty Rymer’s life take on significance when juxtaposing her personal narrative and the gallery space (with her namesake). 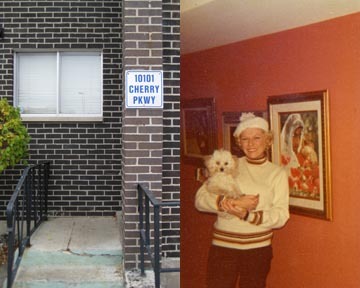 The name Betty Rymer has a duality, as a private history and a public site. When these histories come together, the buildings of Betty Rymer’s life become portraits and the gallery becomes a site of memorial.